Particle Swarm Optimization (PSO) is an evolutionary computation technique frequently used for optimization tasks. This work aims at applying PSO for recognizing specific patterns in complex images. Experiments were done with gray level and color images, with and without noise. PSO was able to find predefined reference images, submitted to translation, rotation, scaling, occlusion, noise and change in the viewpoint in the landscape image. Several experiments were done to evaluate the performance of PSO. 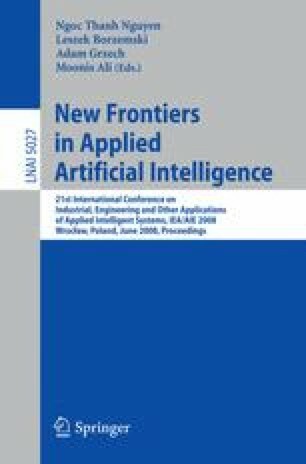 Results show that the proposed method is robust and very promising for real-world applications. This work was partially supported by the Brazilian National Research Council – CNPq, under research grants nos. 309262/2007-0 to H.S. Lopes, and 477922/06-6 to T.M. Centeno. Authors also acknowledge the financial aid from CAPES as a scholarship to H.A. Perlin.